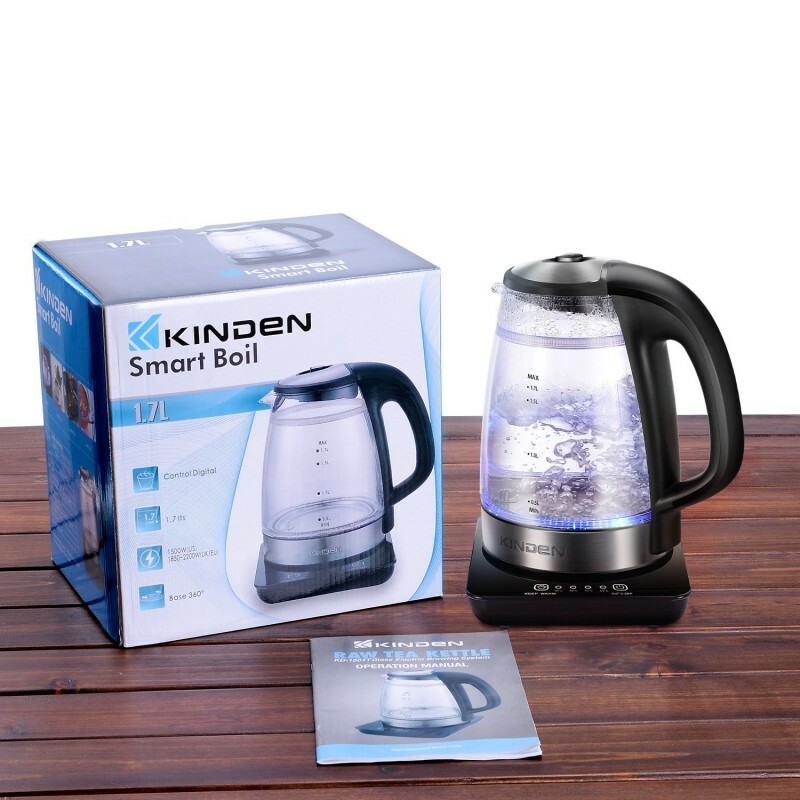 The KINDEN Glass Electric Glass Kettle is quite efficient when it comes to heating water very fast since it is powered by 1500 watts. 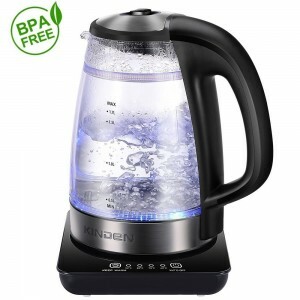 It also has a large capacity that ensures that you can boil a lot of water within a very short period of time. 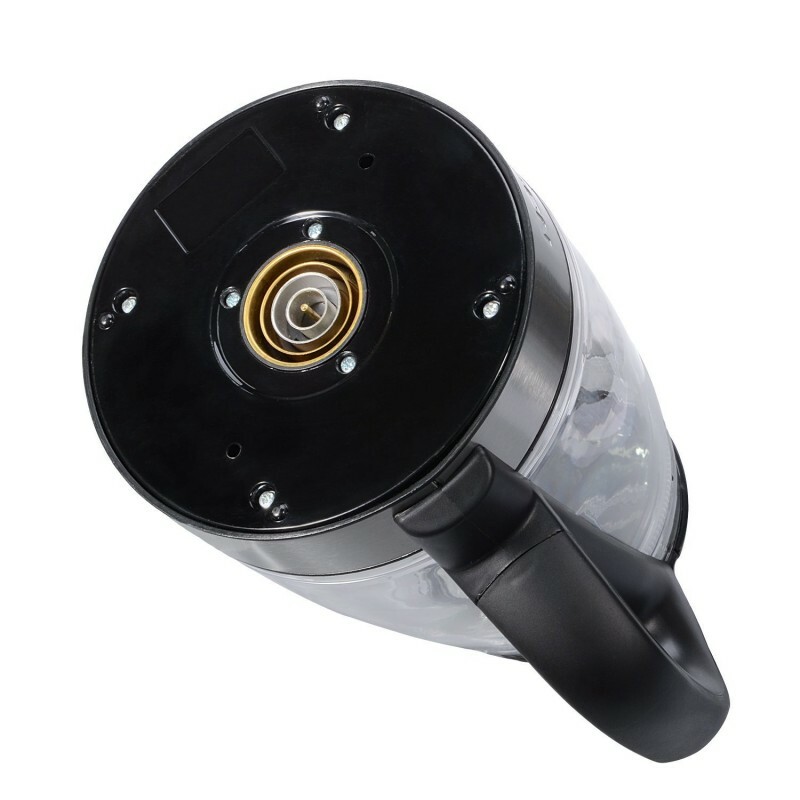 You will love that its heating element is concealed to prevent mineral build-up and it has a filter that is effective in filtering scale. In case you prefer to work with different temperatures then you have four preset temperatures at your disposal. However, its spout angle makes it difficult to pour water from it. It boils water very fast since it is powered by over 1500 watts of electricity. 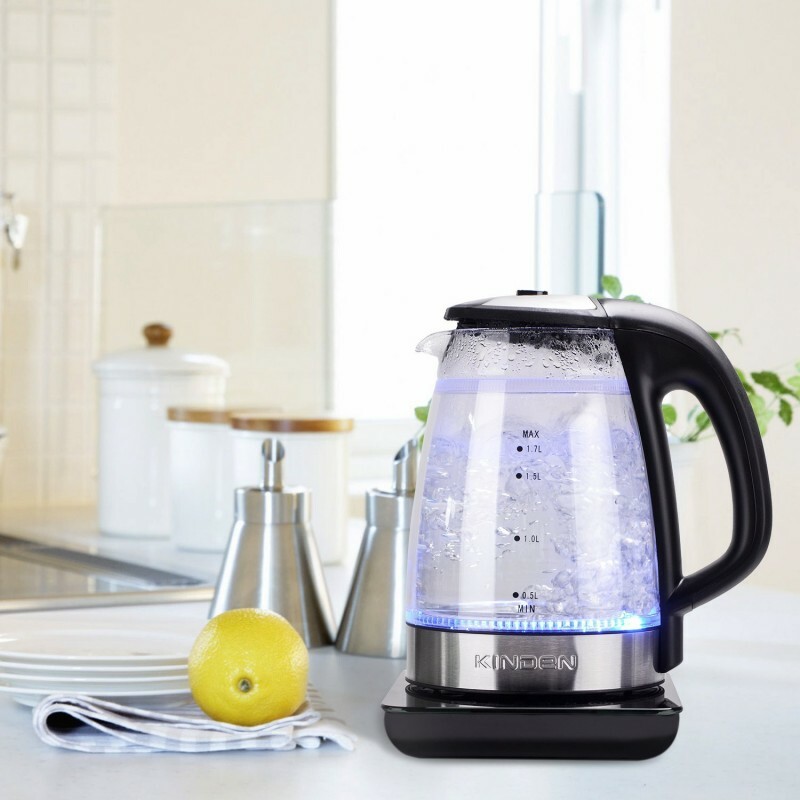 You can trust it to shut off automatically when the water hits boiling point and when there is no water to heat. It is easy to move around thanks to it ergonomic handle that is non-slip. 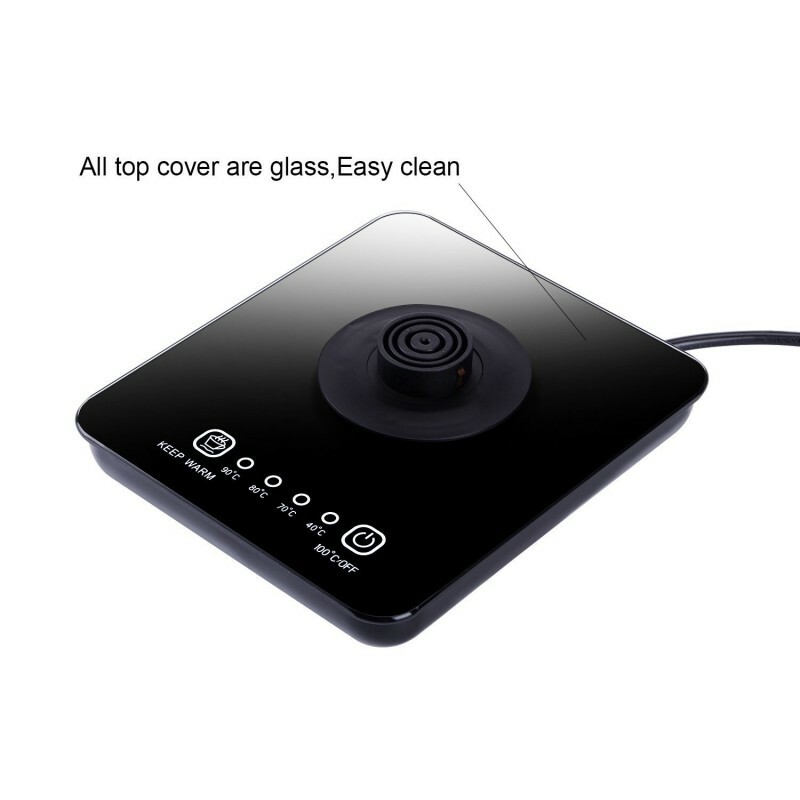 You do not need to worry about mineral buildup since its heating element is concealed. 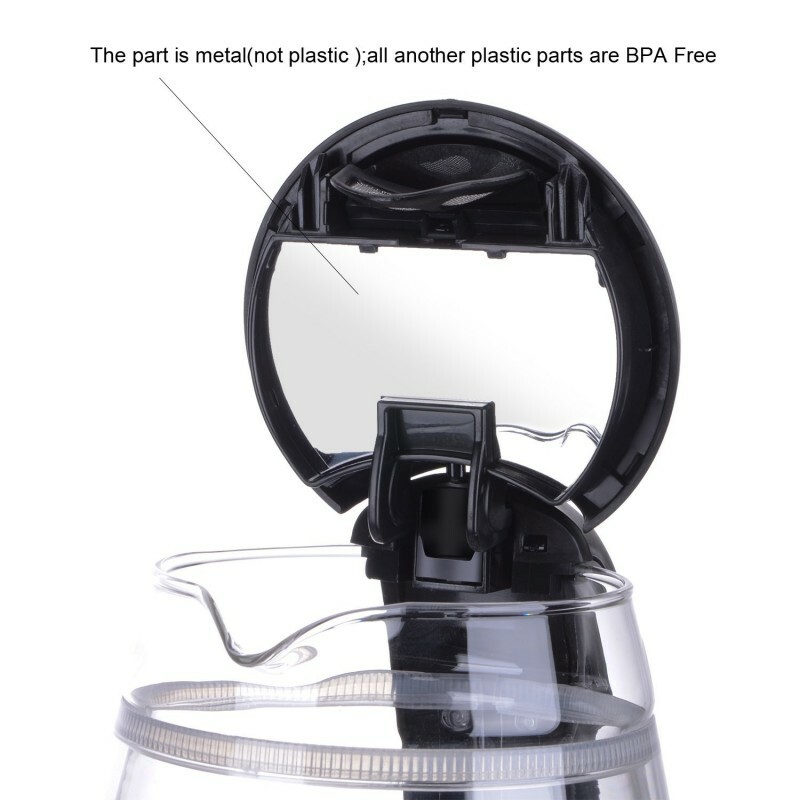 It prevents scale from getting into your beverage using its filter. You can measure a precise amount of water to boil using the markings on its sides. 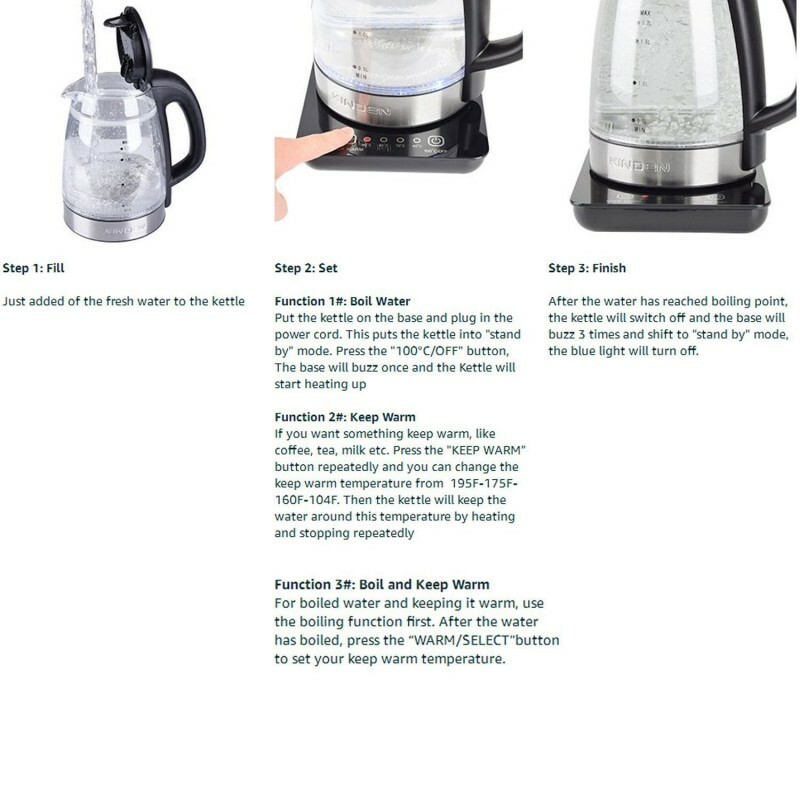 It allows you to pick from four different preset temperatures to boil your water to preferred temperatures. 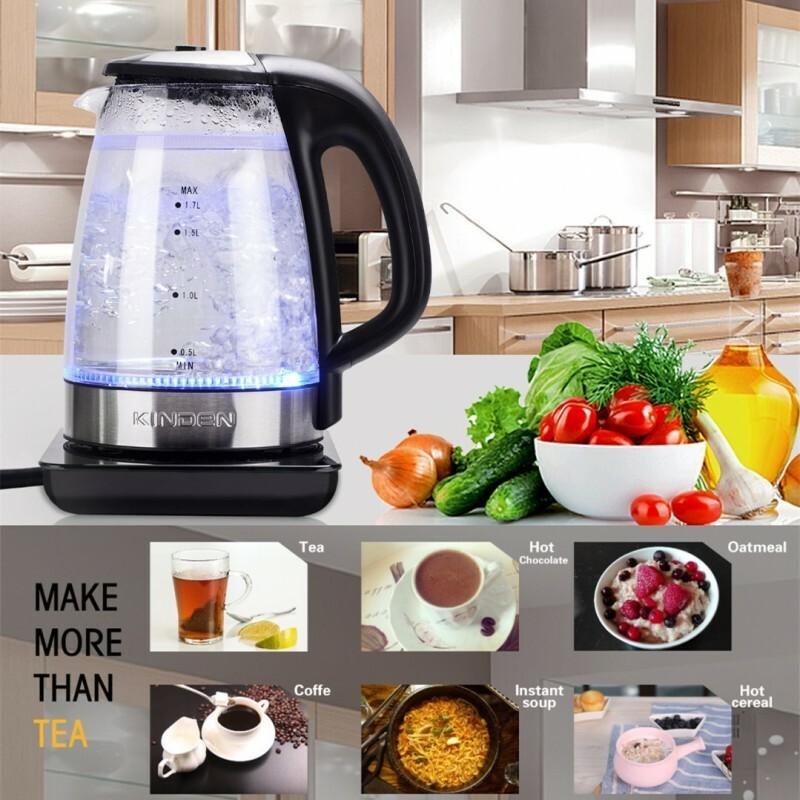 You can use it to boils up to seven cups of water at once which is time-saving. It comes with a wide opening that allows for easy cleaning. The spout angle is not efficient for pouring out water effortlessly.